This is one of two self contained cosy cottages which have been recently renovated and redecorated. 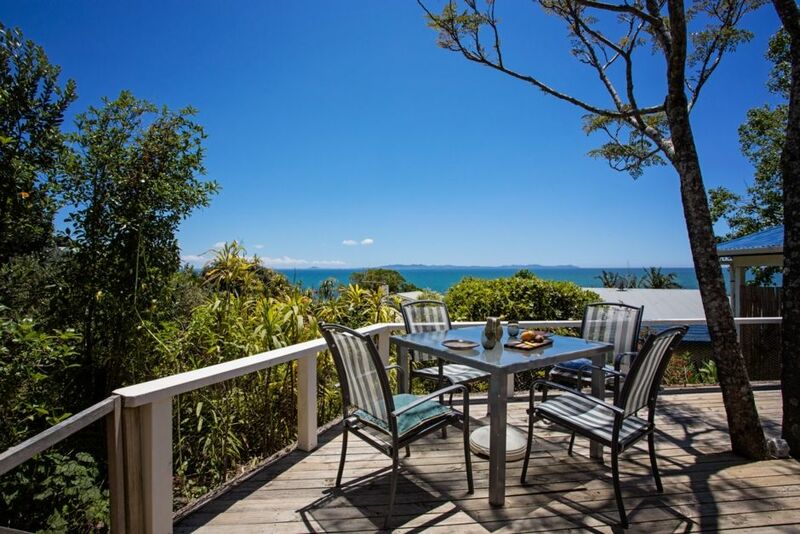 (see listing for Vailima)The location , between popular Coopers Beach and Taipa is perfect for a wide range of activities such as swimming ,boating and lazing about.The property lies on the seaward side of highway 10 with access to a Pohutakawa fringed cove. The historic village Mangonui is a short 5 minute drive away with its cafes, shopping and boating facilities. -Please be aware of safety for children; hillside terrain and water close by. -Deck areas are fully contained for children to play. -Pets allowed with prior approval. Important - pets must be contained to the Cottage and the deck area only. Please contact us to have a conversation about your pets. Ideal. The instructions on how to get to this tucked away oasis were accurate and easy. The unit is warm, comfortable, clean and exceptionally well equipped. The front deck, facing the ocean was the best place to hang out. The bed was comfy, the shower good and the position second to none. We walked in & immediately thought that this was too small!. Fantastic views & great access down to the beach. Great spot for a couple, the deck views are to die for! Excellent location for lots of day trips in the area. Excellent location for lots of day trips in the area. Helpful brochures provided by Mac and Maureen meant we discovered new places to visit even though we had stayed in Cable Bay often in the past. Some good cycling options as well. Our one rainy day during our stay meant spending the time relaxing at Tiro Moana , enjoying the view and listening to their CD collection which was perfect! Would happily stay there again. A lovely batch best for two with a view. A lovely batch best for two with a view. Great location. Lovely outdoor areas. Pity about the weather.